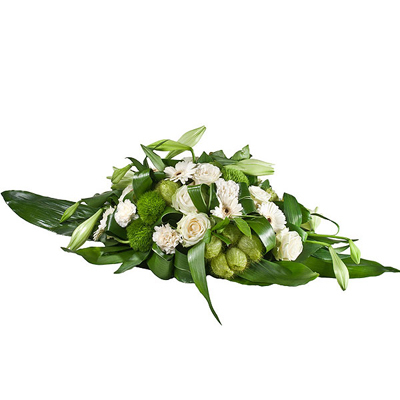 Funeral spray generously filled with fresh flowers and a variety of seasonal greenery. Order online and we allocate your flower order to one of our skilled local florists, who will deliver your fresh flower bouquet the very same day. The bouquet will be hand delivered by a local florist, following his creativity and with the flowers locally available. The bouquet that will be delivered might be different of the picture, in composition and in number of flowers.